This entry is filed under Princess Concussia, Ride Reports, Uncategorized and tagged anti-aging, biker hair, detangling, dry hair, effects of smog on skin, haircare, helmet hair, long hair, skincare. Yes, we’re all Aries here. My ego simply adores telling people my age and seeing the look of shock on their faces. I look a lot younger than 44. 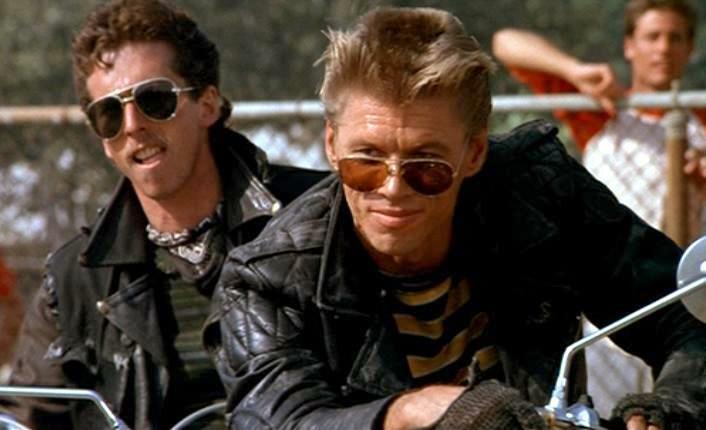 After almost 30 years on motorcycles, I can tell you what’s worked to keep me from looking like leather face in Grease. First and foremost- since one year before the helmet law went into effect in California, I’ve been wearing a full face helmet every time I ride. Not only is this protective in the event of a crash, it’s also great for your skin and hair. It keeps the smog and crap off your skin and keeps your scalp’s natural oils where they belong- on your hair. Yes, hair can get a bit greasy wearing a helmet, but that’s why we have washable helmet liners! I highly recommend wearing only a full face helmet with a removable liner. Plenty of times I’ve gone too long between washings and the amount of filth that comes out is astounding. Those cheek pads absorb quite a bit of the tailpipe gunk that would otherwise end up all over your face! Most major brands have removable liners.